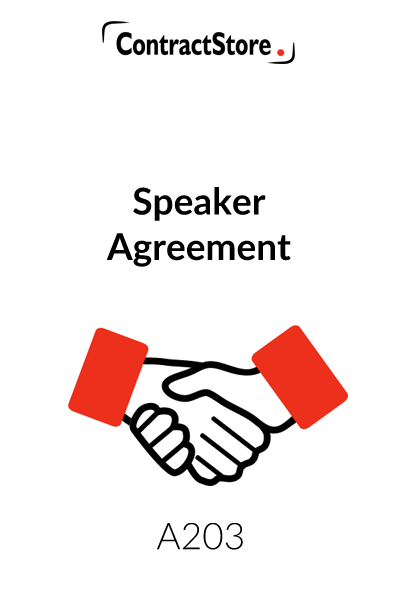 This speaker’s agreement is for use by a company that supplies a speaker for a function – e.g. for an after-dinner speech. A ‘form of agreement’ (including schedule) sets out details of the parties, engagement, fee etc and specific to a particular engagement. a general clause detailing assignment, severability, third party rights, the scope of the agreement and waiver. The terms are written from the perspective of the company supplying the speaker. The agreement can be used for a range of performers as well as speakers. This legal agreement is designed for use by a company specialising in supplying individual speakers to third parties and consists of a “Form of Agreement” with details specific to a particular engagement such as time, place, fee, reimbursable expenses etc. and generic terms and conditions applicable to all similar engagements. Although the document refers to a speaker, it can be used for a conjurer, entertainer, etc. 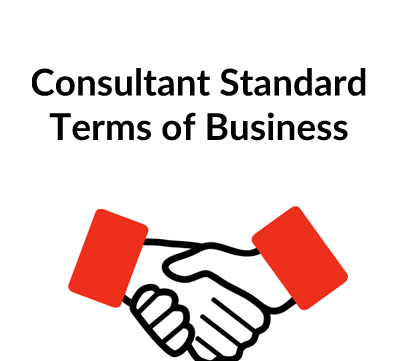 The terms and conditions are prepared so that they can be given to a prospective client before the details are agreed and the Form of Agreement is completed and signed. It is intended that the terms are not to be subject to pre-contractual negotiation. However should this be necessary for commercial reasons care should be taken to ensure that the revised terms are approved in writing by both parties before being attached to the signed Form of Agreement. The Agreement is drafted from the perspective of the company supplying the speaker. Text in italic script and/or within square brackets must be reviewed and amended before execution and the square brackets removed. Where the entity providing a speaker is not a limited company the appropriate changes must be made throughout both the Form of Agreement and terms to reflect the correct status. Briefly this identifies the contractual parties, the identity of the speaker, the fee arrangements and states that the binding agreement is the Form of Agreement taken together with the attached terms and conditions. The schedule to the Form of Agreement sets out further details as to the date, time and location of the speaker’s engagement, any equipment required and travel/accommodation costs to be met by the client. Where there are any other matters specific to the speaker/engagement they should be added here as appropriate. This clause adopts definitions set out in the Form of Agreement, adds further definitions and, importantly, states that the binding agreement consists of both the Form of Agreement and the terms and conditions. This clause identifies key obligations of the client such as the provision of a suitable venue, appropriate technical support and support materials; compliance with relevant legal/regulatory requirements and adequate insurance cover. Clause 2.6 provides for a very broadly written right of reimbursement in respect of any losses or claims brought against the company or the speaker as a result of any acts or omissions of the client and for the client to notify the company as soon as it becomes aware of any such claims. It is made clear that the company has no liability regarding either the suitability or behaviour of the speaker. This clause sets out details as to the timing and methods of payment of fees by the client and should be read in conjunction with the Form of Agreement. The consequences of late payment are dealt with at clauses 6 and 11. 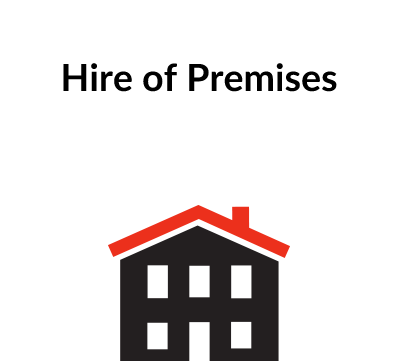 The client is to be responsible for either providing suitable accommodation/travel tickets etc. or to reimburse the speaker for his expenses directly attributable to the engagement. Again this clause should be read in conjunction with the Form of Agreement and Schedule which give details of anticipated travel/accommodation costs. The consequences of late payment of expenses are dealt with at clauses 6 and 11. The company has two remedies should the client fail to pay fees or reimburse the speaker’s expenses on time: interest may be charged at a rate linked to Base Rate or the company may terminate the agreement by notice and with immediate effect. Any promotional material featuring the speaker requires prior approval. Photographs of the speaker included within such material must be returned to the speaker and the client may not make use of that material except in relation to the engagement without the consent of both the company and the speaker (see also clause 8 dealing with copyright and intellectual property matters). Recordings may not be made of the speaker without the consent of the speaker and the company. Copyright/intellectual property rights in the speaker’s materials and ideas belong to the speaker. Clauses 9.1 and 9.2 provide for a 50% refund of fees paid by the client in the event that the engagement is cancelled with more than 10 working day’s notice less any expenses incurred by the company. There is no right to a refund where cancellation is within 10 working days. Fees not yet due at the date of cancellation become payable within 14 days of the date of cancellation. You may want to revise these time periods. Clause 9.3 deals with the effects of a cancellation on the part of the speaker. The company may either offer an alternative speaker or if this is not to the reasonable satisfaction of the client refund all fees paid to date less any expenses incurred by the company provided that the client has paid all fees due (see also clause 11). Where either party is prevented from carrying out its contractual obligations through external matters outside its control that party will not be in breach of contract provided that it both notifies the other party as soon as it becomes aware of such matters and takes reasonable steps to mitigate the consequences. 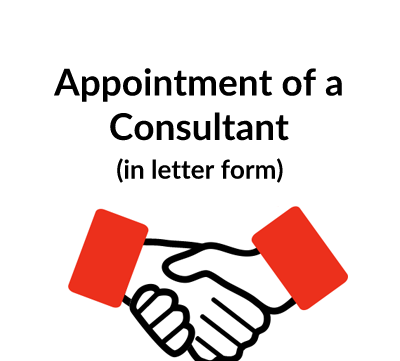 Where this entails a re-scheduling of the engagement the company agrees to either offer the speaker’s services for the re-scheduled engagement or to offer the services of another speaker. 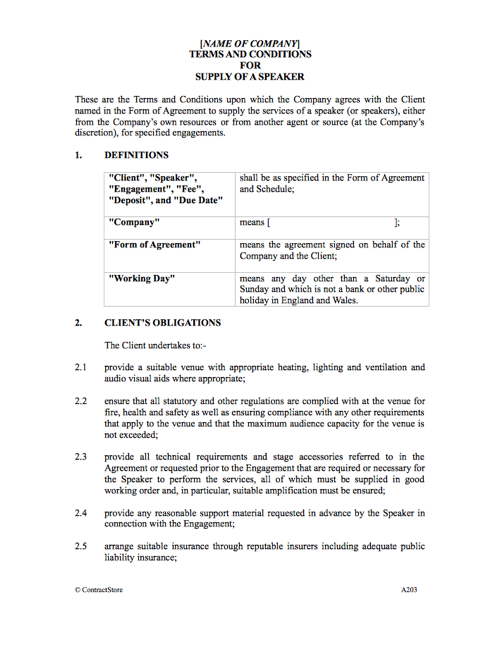 This clause provides a right for the company alone to terminate the contract immediately on written notice where the client fails to pay fees or expenses on time, the client is in breach of its obligations or where the company is unable to provide the speaker’s services (note that under clause 9.3 the company has the option of offering the services of another speaker if the original speaker is unavailable). This clause limits liability to the client on the part of the company to the aggregate amount of fees paid. This is a standard clause in commercial agreements setting out the manner in which formal notices may be given in relation to the agreement. The agreement is to be governed by English law. Disputes that cannot be resolved by mediation are to be determined by the English courts. There is an option to use mediation to resolve disputes. Our website has free information on this subject –Document Z140. A number of terms standard to most commercial agreements, known as ‘boiler plate’ clauses in the legal profession, are set out here.